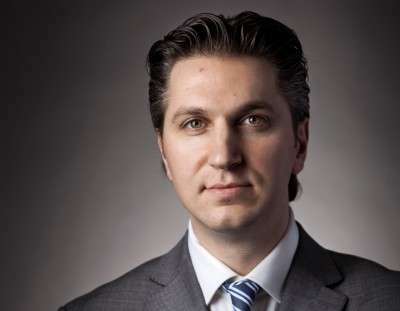 Troubled times continue for former Amaya CEO and Chairman of the Board David Baazov, following a new round of allegations made by Quebec’s financial and regulatory overseer, the Autorité des marchés financiers (AMF). In revised documents that are part of the ongoing investigation into the activities of Baazov and nearly two dozen of his associates, the AMF has now made accusations of a complex kickback scheme through which Baazov and others traded insider information for financial rewards. First to obtain the latest allegations by the AMF was Canada’s LaPresse news outlet, which quoted the updated AMF summary as describing a “high level of organization and sophistication” concerning the ongoing scheme. The scheme as alleged by the AMF stretched back several years, well before Baazov’s Amaya acquired the much larger PokerStars parent, Oldford Group, in 2014. The AMF notes, for example, an email dated 25 June 2014 sent between respondents. Isam Mansour, who has worked with Craig Levett and Josh Baazov [David Baazov’s eldest brother] for a company called Blackbelt while a consultant contract united Amaya Blackbelt wrote another respondent that the “deal” was for 10% of profits after tax and costs. A file attached to the email paints a clear picture of the distribution of profits and expenses associated with transactions in the title of Amaya. Baazov, through a spokesman, Ian Robertson, reiterated his claims of innocence. “I want to reiterate that David Baazov is innocent, that he did nothing wrong and that he is eager to present his defense in court,” said Robertson. Other specific kickback allegations were included in the latest AMF update. Included in that was information on the form the kickbacks took, ranging from cash and checks to luxury items such as a $13,000 Rolex watch. Baazov has already resigned his twin roles as the head of Amaya. For a short while following the AMF’s announcement of the charges in March against Baazov and others, he took a leave of absence. However, last month, Baazov announced his formal departure from the company, leaving interim CEO Rafi Ashkenazi to take over the corporate helm. The AMF is expected to continue searching for evidence regarding Baazov’s older brother, Ofer “Joshua” Baazov, and another close business associate, Craig Levett, in connection with the kickback and insider-trading schemes. The older Baazov and Levett have already been anecdotally linked to Amaya operations long after any formal connection with the company may have been dissolved. The two men have a curious gambling-industry past, having previously been described as the owner-operators of BetonUSA, a US-facing site that failed a decade ago, taking with it at least a million dollars in nonrefunded customer deposits. Baazov and Levett have also been linked, in various reports, to the Oddsmaker.com (Oddsmaker.ag) operation. Also uncertain, and likely still on the AMF’s radar, are allegations that David Baazov’s ownership share in Amaya (just under 19%) may include shadow-owned blocs of stock on behalf of the older Baazov and Levett, among others. 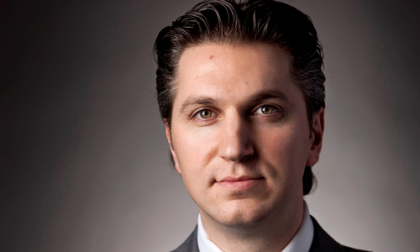 David Baazov and Amaya’s then CFO, Danial Sebag, have also been named as defendants in class-action lawsuits citing the stock-price manipulation antics as alleged by the AMF. All of it continues to paint a very murky picture for anything involving Baazov’s close-knit group of associates and family members regarding Amaya’s ongoing operations. Given the global leadership role of the PokerStars brand in many international jurisdictions, one likely scenario is that Baazov and the other Amaya-connected people targeted in the AMF investigation will eventually be forced to divest their holdings in the company. Amaya’s share price was actually up several percent last week, likely due to the company’s shares already being previously devalued when the allegations against the Baazov group first surfaced.